Summer is just around the corner and that means kids and adults will start looking for ways to beat the heat. Nothing helps people stay cool quite like custom swimming pools right in the backyard. When designing a pool, you’ll have complete control over what features to include. For families with small kids, installing safety features at the beginning can help keep your loved ones safe for many years to come. Here are a few tips to help you make the pool as safe as possible. Though you may enjoy looking out on clear blue water, it’s still a safety hazard. If small kids or pets get too close to the edge, they can slip in before you notice they’re missing. Automatic safety covers mitigate this risk by creating a solid surface over the top of the water. If a child steps over the edge of the pool, the cover will be strong enough to support their weight, keeping them safely out of the water. While kids may love leaping into the water, older swimmers often prefer a more gradual approach. 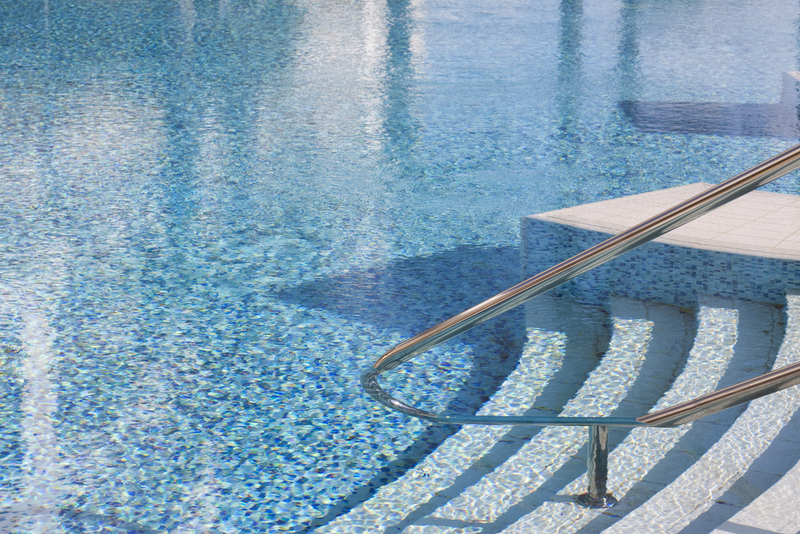 Stairs make it easy to get in and out of the pool, but they can get slippery quickly. Install handrails at the stairs to help swimmers keep their balance. Installing a fence around your pool not only protects your children, but it also protects those in the neighborhood who may gain access to your yard. Across many cities and states, it is now a requirement to install one to prevent accidents. Leading the way for pool fences is Protect-a-Child, a company utilizing impenetrable fiberglass posts backed by a lifetime warranty. Coupled with durable mesh and point-lock latches, this pool fence will keep your children out of potential danger. Don’t wait for summer to start in earnest. Let the team at Destination Pools create the perfect backyard retreat for your family. Their dedicated staff has proudly installed custom swimming pools throughout the Columbia, IL, area for years and will help you bring your dreams to life. Learn more about their services online and call (618) 281-7776 to schedule an estimate.